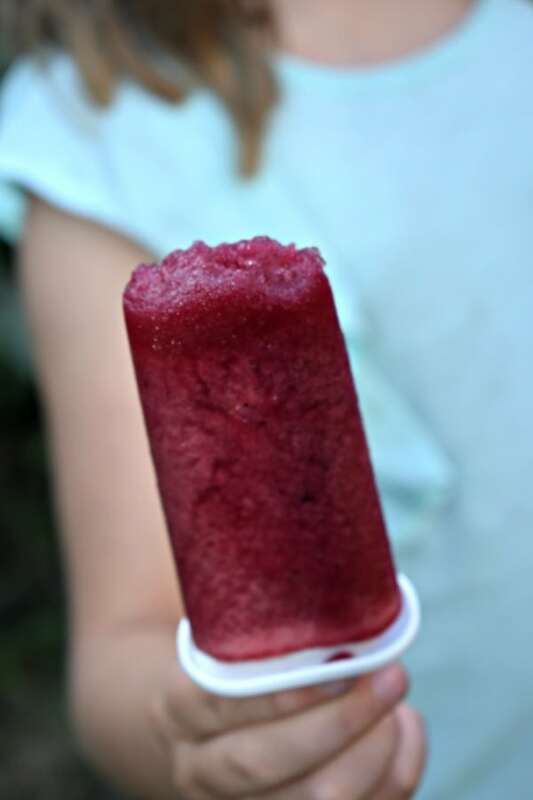 When Barlean’s sent me a box of goodies for a #PopcicleParty, I knew that the recipe had to include strawberries! 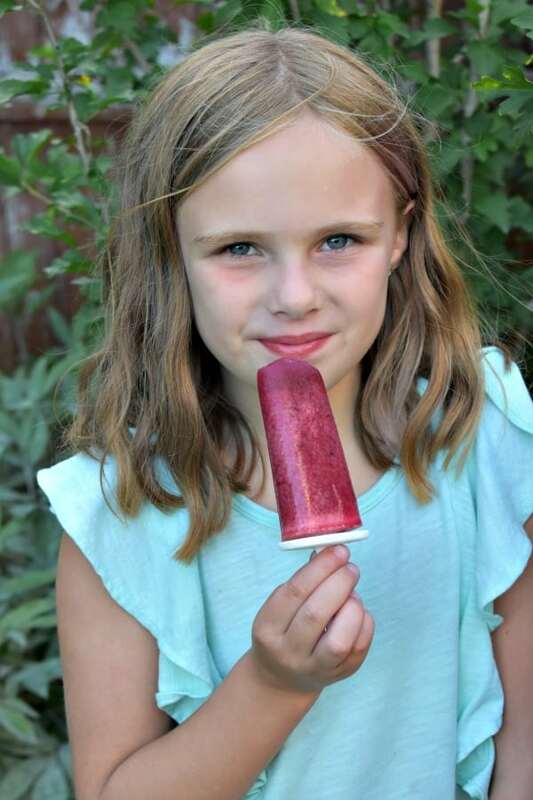 My daughter Olivia loves to eat them frozen right out of the freezer in the summertime, and I let her because they’re good for her, and, well, it’s hot. Another thing I let her eat whenever are healthy popcicles – even for breakfast! 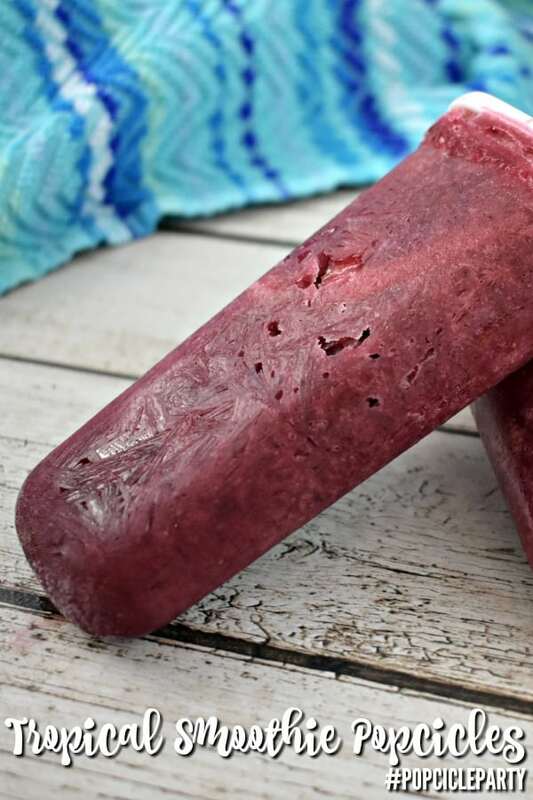 That’s because these popcicles are made with fruit, juice, and some healthy not-so-secret ingredients from Barlean’s. I love using Barlean’s products because I know that they are amazing quality and have some many great health benefits for me and my family. The Omega Swirls and Greens are the two products we use the most. We make smoothies daily, and I have experimented with a lot of different products. 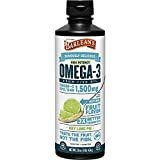 I always come back to Barlean’s because their products provide amazing nutrition with an unbelievably delicious taste. 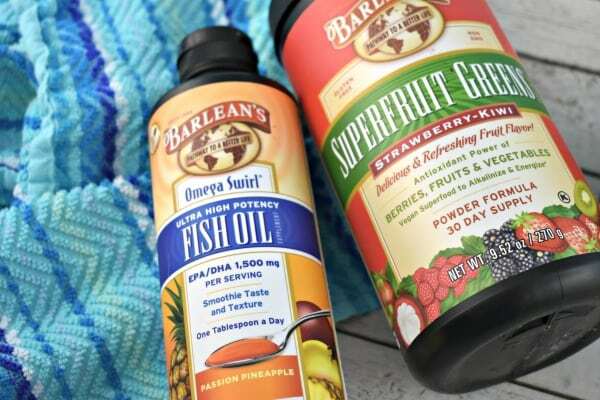 Using Barlean’s Passion Pineapple Omega Swirl Fish Oil adds a little extra health benefit. 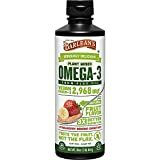 These Omega Swirls are a great way to get more Omega 3’s into your diet, especially for picky eaters! If you love the Pineapple Passion Omega Swirl, check out our Pineapple Cranberry Smoothie recipe! All of these are non-GMO, gluten free, sugar free, dairy free and completely vegan. You can add a scoop to water or juice, but our favorite way it to add it to a smoothie mixture. I used the Zokus Classic Pops Mold to make my pops. It makes six 3.2 ounce pops. 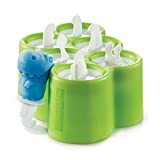 For younger kids, you might like to use the Zoku Mini Pop Molds, which are about 0.6 ounces. They also make some really cute themed ones that would be fun for parties. When cousin Macie came over (another picky eater like Ethan!) 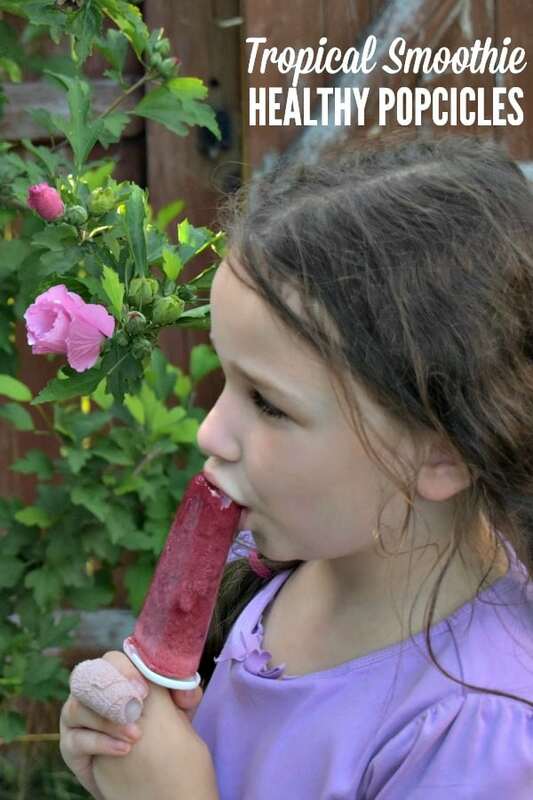 she loved these healthy popcicles! 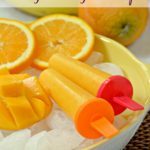 These healthy popcicles start with a yummy tropical fruit smoothie mixture - so delicious the kids will never know it's good for them! 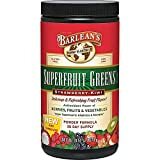 In the blender, combine the pineapple juice, strawberries, Barlean's Superfruit Greens Strawberry Kiwi powder and Barlean's Passion Pineapple Fish Oil. 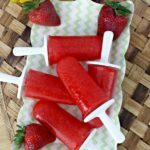 Drop a couple of slices of fresh strawberries into each popcicle mold. 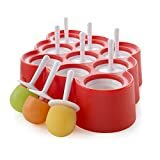 Pour the smoothie mixture evenly into the popcicle mold, taking care not to overfill. Fit the handles into the molds tightly. Freeze for 4-6 hours, or overnight until the pops are solid. Enjoy for dessert or a snack - or even breakfast! To remove the pops easily, run them until cold water for a moment then, gently squeeze the base to remove the mold. Please note, we have not yet tested these variations. Instead of pineapple juice, try orange juice with the strawberries. Swap out the strawberries for other fruits like raspberries, peaches or mangoes. What would a Party be with without favors? 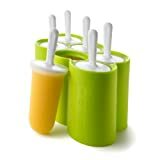 Barlean’s is giving away a container of their Superfruit Greens, and we’re throwing in a Zoku Ice Pop Mold, too! 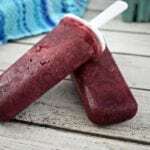 Official Rules and Conditions: One winner will be receive a container of Barlean’s Superfruit Greens and a Zoku Ice Pop Mold. Open to US residents to adults 18+. One (1) winner will be chosen. Prize must be claimed within 48 hours of announcement or a new winner will be drawn. All entries will be verified. This giveaway is in no way associated with Facebook, Pinterest, Twitter, Instagram, Rafflecopter, or any other entity unless otherwise specified. 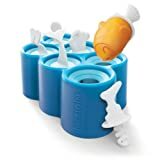 Giveaway ends 8/15/2018. Enter using the widget below. Yummy!! 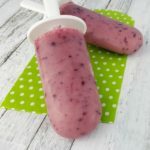 What a smart mama to make smoothie popsicles! My daughter would love these! Shes a strawberry lover too! These look AMAZING!! What a fun treat! You’re so tricky and I love it! 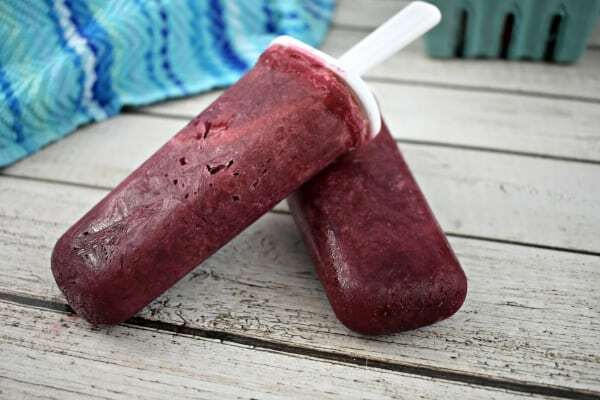 You snuck the good stuff into POPSICLES. You genius! Brilliant! I would love to try making some chocolate pudding pops with the chocolate silk flavor.